mommy's reviews: Natural Sun Protection from Nature's Gate Sun Care! I am a huge fan of winter but I can definitely say that I am usually relieved when the warmer months roll around again. Winter time means bundling everyone up to go outside and sometimes enduring severe snow storms and frigid temperatures. Summer means pool time, picnics, flip flops and everything that is fun to do in the sun. When summer is here, my children spend alot of time outdoors and making sure they are protected from the harmful rays of the sun is VERY important to me. All of my children take after me and have very fair skin and burn easily. I burn easily too and it really stinks because I don't ever tan after a burn...I just fry and then turn white again. Oh well...I manage to get some pretty awesome freckles from the sun though so it isn't so bad. :) It's time to break out the sunscreen again and I have another great sunscreen company to introduce you to today! Because our skin is the largest organ in the body, it is so important that we care for it with meticulous attention. It is so easy to forget that what goes on the body also goes IN the body and so I am thankful for companies like Nature's Gate that makes it easy to decide what is good for us. 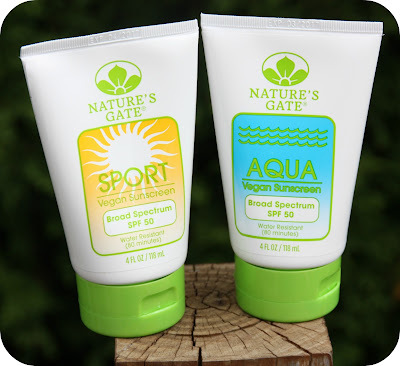 So, for this review I was sent two tubes of Nature's Gate sunscreen...one is Sport Sunscreen, SPF 50 and the other one is Aqua Sunscreen, SPF 50. Nature's Gate Sunscreen is completely fragrance free, paraben free, Phthalate free, Oybenzone free and cruelty free. It is also infused with natural botanicals, making it soothing and gentle for all skin types. 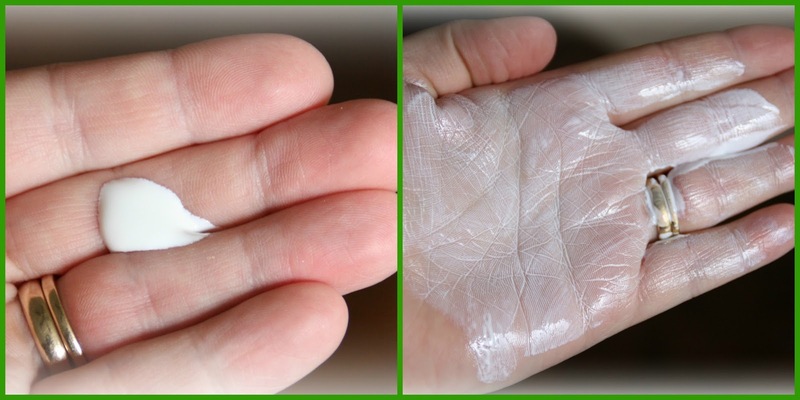 That makes me feel totally comfortable putting these product on myself and my family. This looks and applies exactly as I would expect sunscreen to...it goes on easily and provides great coverage. As far as sun protection goes, it works wonderfully! My children can wear it in the pool and the Aqua can protect their skin for 80 minutes while in the water, as well as out of the water. I do re-apply after 2 hours though as per the company's recommendation. I love that I can send my children outdoors to play in the sun without worrying about their skin and that I can protect them NATURALLY. Good stuff. So, I would strongly encourage you to check out Nature's Gate Sun Care to see what they have to offer your family in way of natural sun protection. You can find their products at health and natural food stores across the U.S and Canada and their sun care products retail for $11.49. Be sure you visit them on Facebook as well...I am sure they would love to meet you and you don't want to miss out on any new announcements, products and special offers! !